The National Museum of Scotland is the perfect place to explore while avoiding inclement weather. You can learn about science, history, and world cultures all in one building. Whether you marvel at the beauty of the Grand Gallery, grab a quick snack at the Balcony Café, or watch the Millennium clock chime every hour you’re bound to have a good time. With so much to do in one place, it’s all you could ask for when escaping the rain. 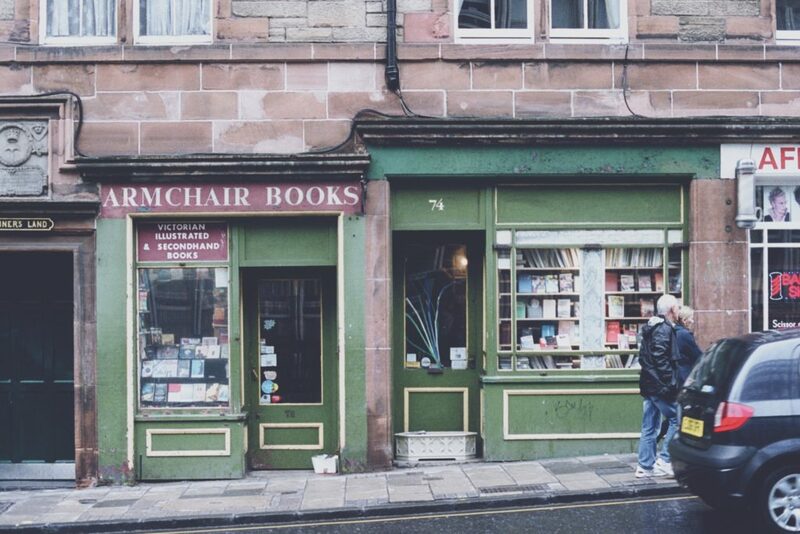 With its bright green exterior, Armchair Books definitely stands out. Inside, every wall is filled to the ceiling with books, leaving no empty space. This little secondhand bookstore is a great place to spend some time when it’s pouring outside. Flipping through all the different, even antique, books is very relaxing. You can pick a book, head home, and curl up to read it while staying dry. What better way to avoid a shower than to go underground? Located below the Royal Mile, The Real Mary King’s Close is a historic close rumoured to be haunted. You can take a tour and explore the dark alleys and mysterious history. A drizzly Edinburgh day creates an eerie atmosphere that makes visiting the hidden site all the more impressive. Going to the cinema is a quintessential rainy day activity. The Cameo is a little theatre that harks back to the golden age of Hollywood with its original, old-fashioned architecture. It’s cosy, vintage interior makes for a very unique experience. You can stock up on snacks and see both indie and mainstream films in a cinema unlike any other. Edinburgh is chock-full of little coffee shops where you can spend hours escaping the rain. Some of our favourites are Cult Espresso, Black Medicine, Lovecrumbs, and Cairngorm Coffee. 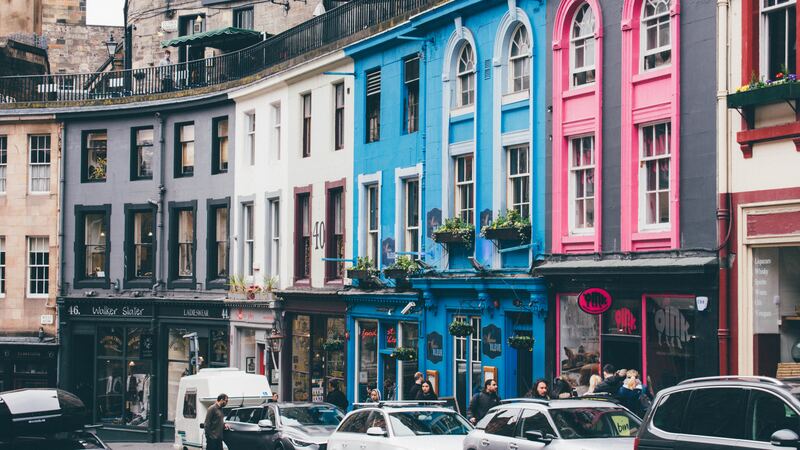 Whether you’re reading, getting some work done, or just catching up with friends, we know you’ll enjoy all of the warm and welcoming coffee shops that Edinburgh has to offer. So next time the weather takes a turn, don’t let a rainy day wash away your fun plans!